After experiencing an ectopic, I was able to have a successful pregnancy and am now the proud mother of a beautiful daughter. I am not an expert, but this is my unique story of heartbreak, resentment, and finally, pregnancy bliss! My story is more than just a unique set of circumstances. It is a story of relentless faith that allowed me to become the mother I always dreamed of being! In this article, I will begin by sharing my personal journey from an ectopic pregnancy to a successful pregnancy. Then I will answer various tubal-pregnancy-related FAQs from a more technical point of view. I hope this article will help answer your questions and ease your concerns regarding this difficult experience. I married my high school sweetheart when I was 19 years old. So, at 22 and 24, we were ready to add to our family. Much to our delight, it only took a couple of months to become pregnant. In August 2002, we were ready to announce to our friends and family that we were expecting our first child. I called the doctor, told my friends, and just relished in the fact that I was going to be a mommy. My first doctor's appointment was in September, and the days seemed to drag by. A few days before my first appointment, I woke up to find that I was spotting. A quick call to the OB/GYN reassured me this was normal. The nurse said to take it easy and call if the bleeding increased. Well, 10 hours later, I was in the emergency room. After a few hours and endless tests, the doctors informed my husband and I that I had experienced a "little miscarriage." My uterus was empty, and there were signs that I had passed the fetus. Most likely I would not need a D&C (dilation and curettage). They reassured me that everything was going to be okay. They told me to keep my doctor's appointment and that I could start trying again in one month. Although I was devastated, I was hopeful that my next pregnancy would be flawless. I visited my OB/GYN, who comforted me and echoed the advice of his coworker who had cared for me in the ER. My ultrasound was clear, but the doctor ordered follow-up hCG levels. It looked like I had a large ovarian cyst. I woke up four days later feeling very ill and had a cramp in my lower abdomen. During the "miscarriage," I lost a great deal of blood vaginally (and I would soon discover I was bleeding internally as well). I thought that the fact that I was feeling ill was due to everything I had been through in the last 10 days, but two hours after waking up, I received a startling phone call from my OB/GYN. The doctor had just seen my latest hCG levels and was alarmed. Instead of continuing to decrease, the numbers had increased, but not enough to convince my doctor that I was still pregnant. Instead, he told me he suspected I had an ectopic pregnancy. The next few hours are a whirlwind that I don't remember well. I was rushed to the hospital, where I conferred with my doctor and was told that he might have to remove my fallopian tube. The doctor went on to inform me that the removal of my fallopian tube, a salpingectomy, would result in a 30% chance that I would never conceive. I was devastated but had no time to argue. My life was on the line. My husband had gone four-wheeling, and no one could reach him—so I went into surgery with my mother by my side and a million unanswered questions. When I awoke from surgery, my first question was whether the doctors had removed my tube. To my horror, I was told that my tube had been destroyed by the ectopic pregnancy. I also had a great deal of internal bleeding. It would be a long journey of healing ahead. The days following my miscarriage were dark. I was dealing with so much, and I was only 22 years old. Still, several appointments and tests led the doctors to believe I would conceive again. Unfortunately, it could not happen soon enough for me. Every month, I would hold my breath while I took a pregnancy test. But I was always disappointed when the test came up negative. Obsession sank in, and I started driving myself crazy! In August of 2003, my husband and I decided to stop trying to have a baby. We realized the pressure of conceiving was affecting our relationship. We also knew we still had plenty of time to conceive in the future. To make sure I would not get pregnant until we were ready, I made an appointment with my OB/GYN to get birth control. On the phone with the doctor's office, the nurse asked if there was any chance I was pregnant. I laughed at the inquiry and said "no," but two days before the appointment, I started to get a familiar feeling. I was positive I was pregnant but convinced myself it was in my head. Against my better judgment, I went to the store and bought a pregnancy test. To my complete disbelief, the test was immediately positive. I was so shocked that I didn't tell anyone for a few hours. Finally, I told my husband who was shocked as well. 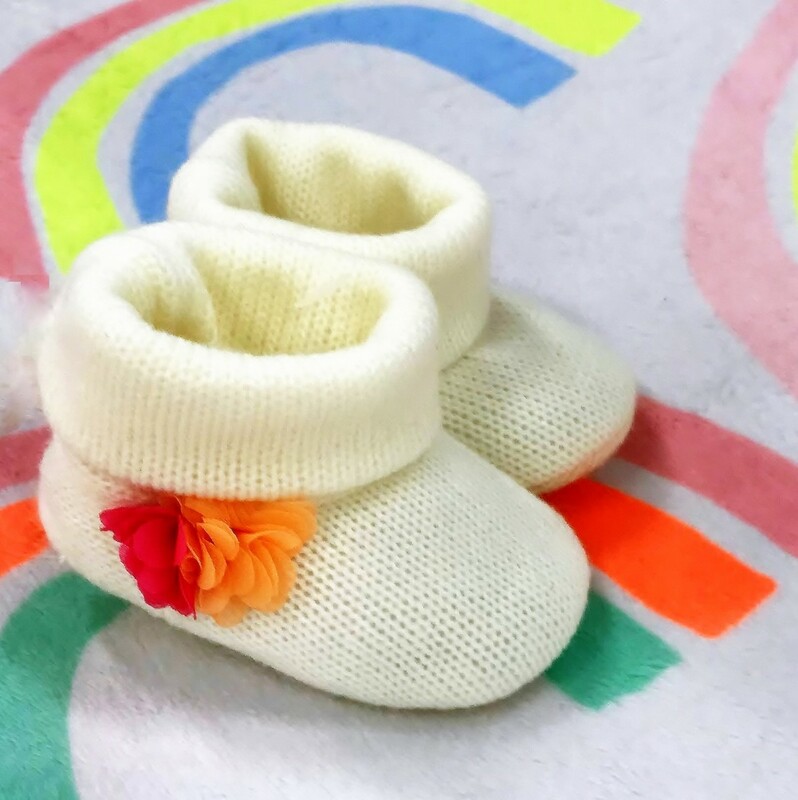 I wanted to jump for joy and tell everyone I knew that we were finally pregnant again, but our previous experience prevented us from being happy until we knew it was a reality. Our family doctor agreed to do the hCG blood test for us. The numbers came back positive, but the real test was to see if they would double in 48 hours. When the numbers doubled, my husband and I were relieved. My OB/GYN wanted to see us right away instead of waiting for the traditional appointment at 8 to 10 weeks. My first ultrasound of my daughter was at five weeks and three days, and to my resounding joy, her heart was beating. My baby girl had an expected due date of July 4, 2004. My husband was ecstatic and so was the rest of my family. As for myself? I was terrified. I thought that all my reservations about pregnancy would be over, but my fears only increased. Every visit to the doctor's office led to more problems. I had horrible morning sickness, gestational diabetes, and then spotting at 21 weeks. My worst fear was that I was going to lose the baby, which would have destroyed me. I wouldn't even let myself imagine life with her because I was so afraid it was never going to happen. At the beginning of June 2004, I developed toxemia and was on constant pins and needles. My due date, which had been moved from July 4th to June 29th, looked like it was going to be even sooner. My doctor was concerned that the baby might be too big for me to deliver and wanted to schedule a C-section. I didn't want this, but I agreed that I would consent if absolutely necessary. On June 14, 2004, the doctor decided it was more dangerous for me to stay pregnant than for me to deliver. I was scheduled for induction on June 19, 2004, and put on complete bed rest for the next five days. Welcome to the World, Baby Erica! On June 15, 2004, I woke up uncomfortable. I tried sitting up, lying on my side, and standing up, but nothing helped. I called my mom, who came over immediately. I decided not to bother my husband at work just because I was uncomfortable. My mom arrived and informed me that I was in labor. I didn't believe her. I had gone to birthing classes, so I was convinced my tight belly and crampy abdomen were not labor signs. I called the doctor, and the nurse blew me off. My mother—who had four children, including triplets—insisted we go to labor and delivery because the hospital was 45 minutes away. Shortly after arriving at the hospital, I found out I was indeed in labor. I was amazed because I felt fine, just a tad uncomfortable. When the doctor informed us that I was four centimeters dilated, I knew I had to call my husband. My husband arrived at 1 pm, and the doctors told us to prepare for a long night of waiting. We told everyone to wait until the next day to come because I was going to be there awhile. Even as I was in labor, I was still doubting the fact that I was going to be a mother. My anxiety and fears would not let me enjoy the moments right before I gave birth. And yet, contrary to what everyone believed, and without the epidural the nurse insisted I have, my daughter was born at 7:17 pm on June 15, 2004. I held my breath while she was examined. When the nurses didn't move as quick as I thought they should, I began shouting at them. Finally, I had confirmation. My seven-pound-eleven-ounce baby girl was completely healthy. When they handed her to me, I cried. All the fear and anxiety that I had carried around for the last two years was finally gone. I was a mommy! I don't often share my story because it is painful, but I want other people to know that having a baby after an ectopic pregnancy is absolutely possible! Having faith and believing it would happen is the only way I survived my emotional ordeal. If I had given up, I probably would never have become a mother. Now that you've heard my story, I'd like to share some more information about tubal pregnancies in general. 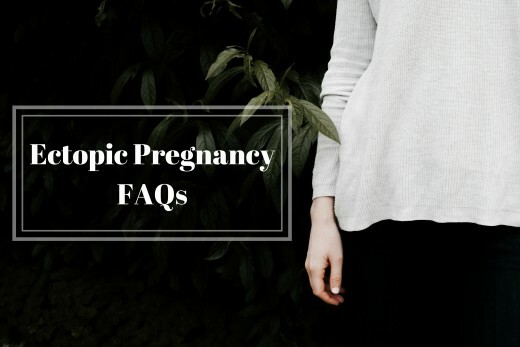 Below you will find the answers to many frequently asked questions about ectopic pregnancies and the possibility of successful pregnancies thereafter. There are three main symptoms associated with this type of pregnancy, though only about 50% of women experience all three. Unfortunately, some women don't experience any symptoms until the structure containing the ectopic pregnancy (i.e., fallopian tube, ovary, or abdomen) ruptures, at which point immediate medical attention is critical. Dizziness, fainting, and rectal pressure are also common symptoms of tubal pregnancy. Blood hormone tests and pelvic ultrasounds are the most common ways to diagnose this type of pregnancy. A D&C (dilation and curettage) is another evaluation option. A D&C, or dilation and curettage, is a procedure for removing tissue from the uterus. During a D&C, the cervix is dilated using small instruments or a medication. Then, a curette is used to remove uterine tissues (via either scraping or suction). D&Cs can be used to diagnose and treat various uterine conditions from polyps to molar pregnancies. Though they can’t treat ectopic pregnancies, they are sometimes used to diagnose them. 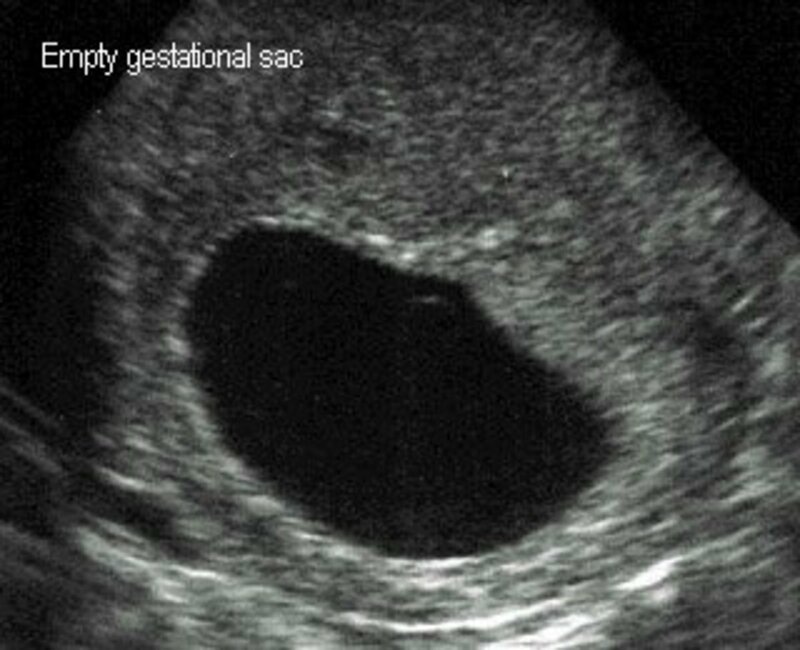 If the procedure confirms the presence of early pregnancy tissue, it is very likely not to be an ectopic pregnancy. If, on the other hand, no pregnancy tissue is present, treatment for an ectopic pregnancy will likely be recommended. Could my ectopic pregnancy result in a successful delivery? No. The odds of bringing an ectopic pregnancy to term are roughly one in three million. These exceedingly rare cases usually result from the egg implanting somewhere in the abdomen rather than in the fallopian tubes. Abdominal pregnancies have a much higher mortality rate for both the mother and fetus. Can you get pregnant after an ectopic pregnancy? Yes. As long as your ectopic pregnancy was treated without removing both fallopian tubes. But it will be an inherently high-risk pregnancy and will need to be monitored closely. If the ectopic pregnancy is treated without removing the fallopian tubes, or if one tube is removed (salpingectomy) but the other one is in good condition, a woman can have a successful pregnancy in the future. However, a woman who has had an ectopic pregnancy is at higher risk of having another one. It is therefore crucial that women trying to conceive again speak to their gynecologists about the risk of having another ectopic pregnancy and possible measures for early evaluation of their next pregnancy. Other risk factors that may affect your ability to get pregnant after an ectopic include pelvic inflammatory disease (usually caused by an untreated sexually transmitted disease like Chlamydia or Gonorrhea), infertility treatment, smoking, DES exposure, tubal surgery, and endometriosis. What are the chances of conceiving after an ectopic pregnancy? It depends on the health of your fallopian tubes. If you have at least one healthy fallopian tube, your chances of having a successful pregnancy in the future are very good. The majority of women (about 65%) are pregnant within 18 months of an ectopic pregnancy, with the figure rising above 80% over two years. How long should you wait to try to conceive after an ectopic pregnancy? Three months or two menstrual cycles (whichever comes first). 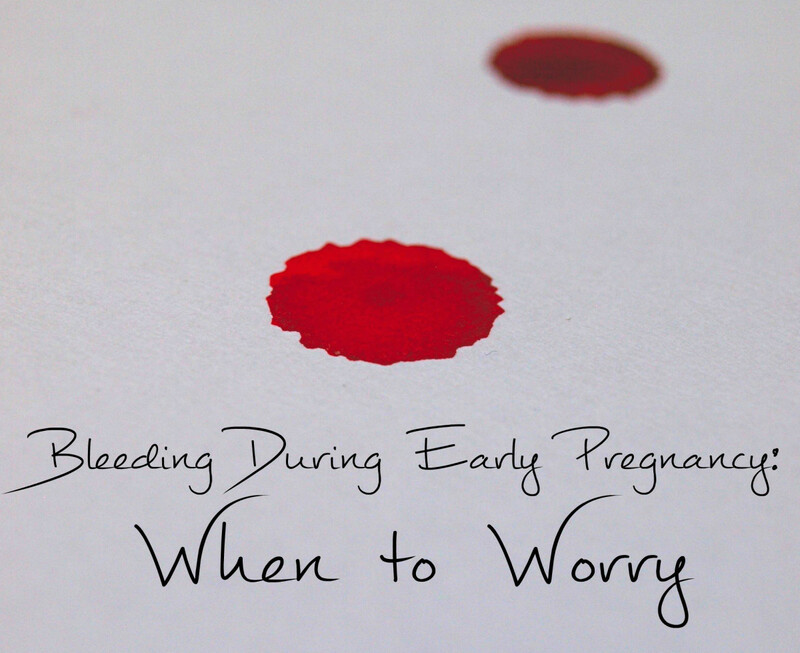 Be aware that the bleeding experienced in the first week of treatment for an ectopic pregnancy is not your first period, but a response to hormone changes resulting from the lost pregnancy. Though that’s the time your body needs to heal, take care to consider your emotional health as well. While some women might feel desperate to conceive again as soon as possible after an ectopic pregnancy, others may need more time to recover, both physically and emotionally. Life after an ectopic pregnancy is different for everyone, and there is no “right time” to try to conceive again. No. There are only three treatment options for ectopic pregnancies, and none of them involve transferring or attempting to save the embryo. What are the treatment options for an ectopic pregnancy? Surgery or medication. Treating this type of pregnancy as soon as possible is crucial to the mother’s safety. When diagnosed and treated early enough, it is usually possible to save the fallopian tube involved. Below are the three treatment methods. Course of Methotrexate (MTX). MTX is a chemotherapeutic agent that slows the growth of rapidly dividing cells (pregnancy tissue does exactly this). This treatment can be administered as a single shot or as a series of injections. If a tubal pregnancy continues after two to three doses of methotrexate, surgical treatment is required. Laparoscopic surgery (a.k.a. keyhole surgery). This involves the insertion of a laparoscope through the belly button and into the abdomen. This type of surgery is generally uncomplicated and allows for the normal healing of the fallopian tube, meaning that the involved tube may have the chance to facilitate a successful pregnancy in the future. Emergency surgery. If you experience heavy bleeding resulting from a tubal pregnancy, you may need emergency surgery via laparotomy. While there is sometimes a possibility that the fallopian tube can be repaired, if it has been ruptured, it must be removed (salpingectomy). Though they sound quite similar, these two surgical approaches to tube removal are quite different. Have you experienced an ectopic pregnancy? Share your story. I had ectopic in November 2017 and my right tube was removed so afterwards I asked the surgeon if there is a possibility for me to conceive again and he said Yes. Afterwards I've been thinking about it so much that I'm almost scared to death but reading some of your testimonies has really given me a reason to smile again and I pray God gives everyone of us a testimony soon.God bless you all. I've had 2 ectopic pregnancies. My first was in July 2016 (my very first pregnancy). 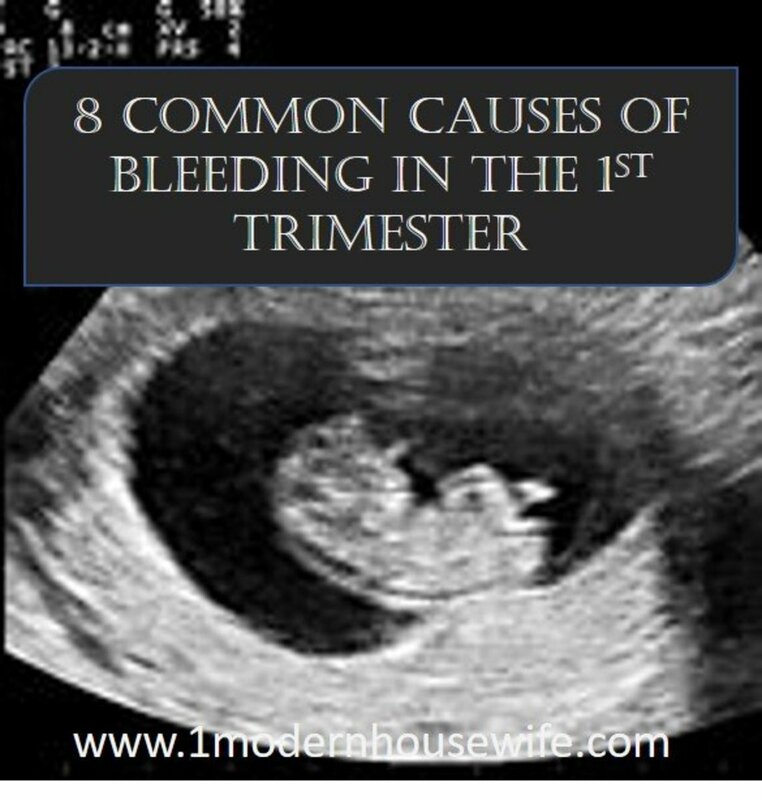 Soon after finding out that I was pregnant, I began spotting and had some cramping but nothing major (when speaking with family it sounded like normal pregnancy symptoms). The pain got worse and I decided to see my GP. 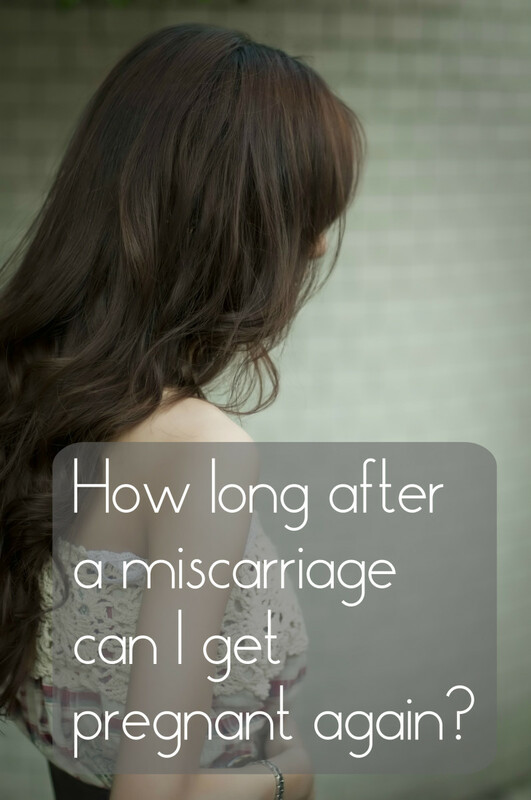 After getting a few rounds of HcG tests, it was diagnosed as a miscarriage. Since it is standard to watch HcG levels until they hit 5 or less, I continued with my blood work until I got a call from my GP that my numbers were rising. I went straight to an ER and was diagnosed with a pregnancy of unknown location. After 4 more trips to the ER, where they took blood and did ultrasounds, I was finally diagnosed with an ectopic pregnancy in my right tube and was given methotrexate. My husband I decided once the waiting period after methotrexate was over, we would keep trying. It took 7 months but we got pregnant again. This time my HcG levels looked perfect. Then while at 8 weeks and 2 days (just 2 days before our ultrasound), I began having stomach issues. At first constipation but then frequent bowel movements. They were accompanied by some pain and a general unwell feeling. As the evening progressed, the pain got worse and I finally fainted. I was taken to the ER where it was discovered that my pregnancy was ectopic and in my left tube. My tube looked like it was rupturing and I was bleeding internally. After fainting again, I was rushed to surgery. I lost my left tube and was give 2 blood transfusions. After a long road to recovery (both physically and emotionally) we decided to try IVF. We went this route since my left tube was gone and I was not confident in my right tube (but I should mention that 2 fertility clinics said it was perfectly safe to keep trying with my remaining tube). After our first round and testing, we ended up with 2 viable embryos. We tried our luck right away with the first but that ended in a very early miscarriage. After taking time away from trying to conceive we tried again and I am now 5 weeks and 2 days pregnant. I'm now very scared of every little pain I feel on my right side (my remaining tube). Today, I kept having to use the washroom. Paired with the slight pain I have on my right, I've been very scared. My IVF clinic is very aware of my history and has made an appointment for an ultrasound tomorrow AM. Of course if my pain gets worse, I will head to the ER. Fingers crossed for tomorrow. Just had an ectopic pregnancy lost my right tune has slight back ache n belly ache feeling started loosing blood about average period amount so I was worried but thought I’d be fine has ultrasound to find it was not in the right place, doctors informed me I have both ovaries and one healthy tube but il be at high risk of another.... that didn’t feel me with confidence I’m going to wait for at least 3-4 months but I’m extremely scared it will happen again and that il add more pressure coz I’m scared has anyone had anything similar? My boyfriend and I decided to have a baby when i was 21 in 2011, but we failed, in feb 2017, I conceived and felt greatful to God, but unfortunately, one month later we found out it was ectopic, my left tube was removed, today I have spent almost one and a half years of recovery from ectopic, and am 28 now, but no pregnancy. He wants to wed me before this year ends, but am so scared, I can't be without holding my own baby in my hands, pray for me. Thx also for yo testimonies those who finally made it, am now somehow strong. Every woman's dream is to have a baby. May God hear our cry. I had my first ectopic pregnancy about a year ago in my right tube which was treated with methotrexate. I was devastated but optimistic that I would be able to conceive again with no problems. My husband and I TTC after three cycles and got a BFP! Unfortunately at a six week scan we found out that I had another ectopic, but this time in my LEFT tube! We were heartbroken! The second ectopic was treated with methotrexate again but I needed two rounds of the shots because the first set were unsuccessful in dissolving my pregnancy. This time I waiting for 6 months and scheduled to have an HSG which showed my right tube is clubbed and my doctor suggested I have it removed. The day after the HSG I had my right tube removed. I am now TTC again but I am so scared. I am praying that I could have a child. I am only 24 and have a 5 year old stepson who I love very much. I have no one to talk to about all this and I can’t imagine never having a child grow in my belly. Please help me anyone! I just need someone to talk to!! I had an ectopic pregnancy in Dec 2016 where they were able to save my right tube. We tried again after about 4 months but didn’t get pregnant again until 15 months later soon to find out I was having another ectopic on my right side again. I ended up having the tube removed. The doctor said my left side was healthy and that if we wanted to try after my first cycle post ectopic we can if we’re feeling eager. Today I am suppose to get my period but haven’t had any spotting. I’m feeling all sorts of stuff from both sides so I have no idea what’s going on. I pray that this will be the month! Tawyna I saw that your from NE Ohio. I’m origanally from there as well! I had unruptured ectopic pregnancy. My right tube was removed last april 18, 2018. As of now, we have an appointment on my OB-Gyne to do close monitoring on my case. Until now, im in so much pain about what happened, Im still afraid what will be the result of all of this. Although I have a faith that i will be given an opportunity to be a mother, but back of my mind, Im still down and feeling hopeless. Thank you for sharing your story on us. For giving us inspiration. I had an ectopic pregnancy that ruptured my left fallopian tube in October of 2017. I underwent laproscopic surgery to remove the tube and eliminate the pregnancy. I was told I could try conceiving again in December. My spouse and I have been trying to conceive since January 2018. 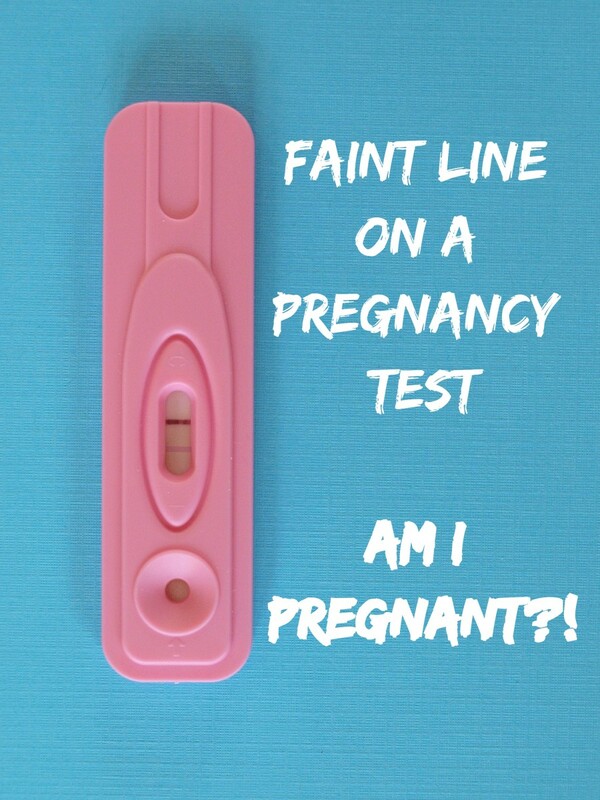 Last week I got a positive pregnancy test. This week I had lab work to monitor my HCG levels. I have an early ultrasound scheduled for next week and I am hoping for the best. Although it took 5 months to conceive, I just want to let it be known that there is hope for a pregnancy after an ectopic. Hi, last year October I had an ectopic pregnancy surgery and one of my tube was removed, so I'm only left with one fallopian tube. However, the doctor said I can still give birth to as many child. I think I've waited for seven months without trying. I want to know, how long should I wait before trying agani? I have two sons 12 and 4. I had an ectopic pregnancy on my right side when I was 30. I have one tube and two ovaries. I was told that I had a 50/50 chance of getting pregnant, but I was pregnant with my son 3 mths later. He was 8lm lbs and 3 oz. He will be 5 yrs old in May. So, don't give up keep that faith. I'm not a doctor or nurse, so I can't provide any medical advice. But, find a doctor you trust, talk to them, and figure out what the best plan is. Good luck to you. My husband and I are newly weds and got pregnant two months later. It is not my first child but a first for him. My pregnancy seemed normal until I started spotting just a week before my first appointment. I went to the ER and to my dismay it was an etopic pregnancy. I never thought since I already have previous pregnancies this could happen to me. Honestly I felt like something was telling me that there maybe something wrong but thought it was in my head. Back to the ER I didn't have to get surgery so I opt for Methotrexate instead. Anyone have any success getting pregnant after this treatment? Hi Carissa! Come back to let us know how it's going. Every ache and pain in my pregnancy after the ectopic shook me. I couldn't relax until I was holding her in my arms. The best thing to do is relax and keep your spirits high. Will be thinking of you. It's not impossible. I had one daughter. My sister also lost a tube and she had three children after. Find a good OB and talk it out with them. They told me removing the tube decreased my chances of having a vaginal birth. But, I was able to do it. Labor was fast. It was about 7 hours from the time my water broke until she arrived. I think it just has to do with how well your body handles delivery. My sister also lost a tube to an ectopic pregnancy and she went on to have 3 easy vaginal births. Good LUCK! Hey, thank you for sharing your story. I myself had an ectopic pregnancy in 2012 and lost my left tube, my husband and I were terrified. In 2017, I finally got pregnant and currently 33 weeks expecting my baby in feb 2018, so it is very possible. I’ve been having a healthy and easy pregnancy so far. My question is would the fact that I had the ectopic affect my chances of having a Vaginal birth? My husband and I are so excited to meet our little boy. Thanks for sharing your story somehow i feel inspired and not to be scared. I experienced almost the same thing. 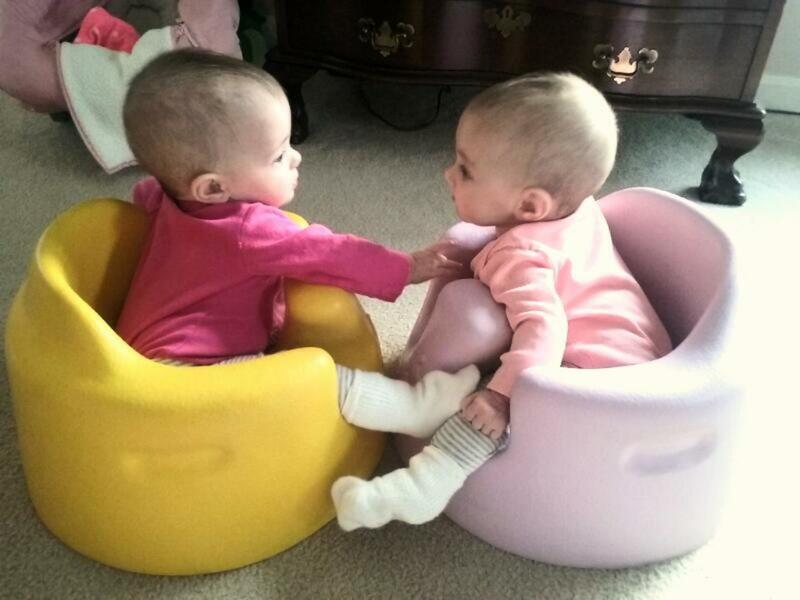 I lost my twins last may but were planning to get pregnant this year, reading your story encourage me to be more positive. Hi ,I'm mena and I'm 23 years old when I got ectopic pregnancy And my doctor advise me to get family planning so I do what my doctor advise me to do,I really want to have my own baby but I'm scared because I lost one fallopian tube and I stay for 2 years now so can you give me some advise or how I can get pregnant now or should I wait for another one year. Good Luck! Trying again is extremely scary. My tube ruptured and I had internal bleeding. I was terrified to try again. My husband was worried my entire pregnancy. Find a physician you're comfortable with. I wish you the best. 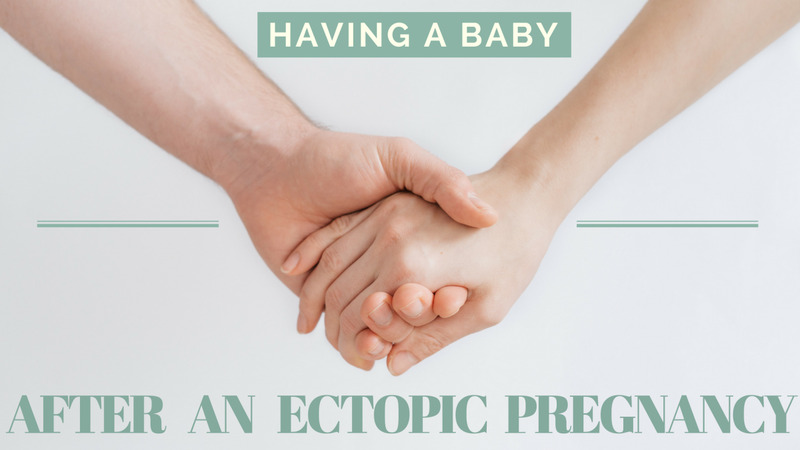 I had an ectopic pregnancy back in January of 2017, exactly a month after I found out I was pregnant. The doctor said that I almost had to have a complete hysterectomy and at the age of 23, that's not what you wanna hear. I'm ready to start trying again, but my husband is still worried. A part of me is scared to death that it's gonna happen again, while the other half is hopeful that the next one will be successful. My doctor is reluctant to see me since then cause they know they could have caught this before I needed surgery. I go on June 16th to see his NP and hopefully talk to her about starting to try again. Awww, you are very welcome. Good Luck! I just wanted to say thank you for sharing your painful & then joyous story . I had an ectopic pregnancy rupture Oct. 26. I'm having good days & bad but this story helped me see the other side.